Work has been completed on the $75 million reconstruction of an exit on Route 17 that’s part of the ongoing effort to upgrade the highway to federal interstate standards. State officials announced on Dec. 8 that the three-year project to reconstruct Exit 122 in the Town of Wallkill is finished. The work included building a new bridge across the highway and realigning nearby streets. More than 200 miles of Route 17 has already been re-designated I-86. Cited for bringing youthful energy and purpose, Orange County Executive Steven M. Neuhaus was elected to the board of directors of County Executives of America (CEA) at its quarterly meeting on Dec. 4 in Washington, D.C. Neuhaus joins a 28-member board whose members serve at will. The board votes on all CEA legislative and administrative policies, and represent the 700-member organization at various events, including meetings at the White House and Congress. “CEA provides a voice on a variety of issues and trends that are important to local governments,” Neuhaus said. Power has been restored to most of the 52,000 homes and businesses in Orange and other counties and in Pennsylvania that were darkened on a holiday-season night, Dec. 5. Orange & Rockland Utilities spokesman Michael Donovan says equipment malfunctioned around 7:30 p.m. in an electric transmission substation in Middletown. Fewer than 3,000 customers remained without power early Sunday, Dec. 6. Among those affected was the Galleria at Crystal Run in Wallkill. One of two reactors at the Indian Point nuclear power plant will be closed for a couple of days following a shutdown over an equipment issue. “It was a relatively minor equipment issue and we expect to have the plant back online within the next couple of days,” Entergy spokesman Jerry Nappi said in an email on Dec. 6. The Indian Point 2 reactor was shut down at around 5:30 p.m. Dec. 5 after several control rods lost power. Entergy reported no radiation was released into the environment. A spokeswoman for the Nuclear Regulatory Commission said an inspector for the agency was at the site the next day monitoring Entergy’s activities to understand the cause and make any needed repairs. The state Department of Public Service also was headed to investigate the situation at the plant in Buchanan, about 30 miles north of midtown Manhattan. The plant’s other reactor, Indian Point 3, remained running. Every year for the past twelve years, the Chabad Center of Orange County hosts an event for the first day of Chanukah with a new draw each year. This year it was a wooden menorah with roughly 230 cupcakes on it, set up in the Galleria Mall in Wallkill on Dec. 6. Two cakes were balanced at the top and had to be lit with ladders. The county legislature voted 13-8 to approve a $21,000 raise over 13 months for Sheriff Carl DuBois, who makes $120,00 a year. This was despite a pay freeze the legislature agreed to in 2013 for themselves and other elected officials and paying 12 percent for health insurance to save costs. The argument for raising the sheriff’s compensation was that his salary was low, both compared to that of sheriffs in neighboring counties, as well as police chiefs in Orange County, and even lower than employees under him. The sheriff manages over 400 employees. By housing immigration detainees in its jail this year, the Sherrif’s Office brought the county $15 million. Philip J. Canterino was sworn in at the Dec. 3 meeting of the Orange County Legislature as the representative for the 21st district covering the Town of Blooming Grove, the Town and Village of Goshen, and the Town of Wawayanda. He was selected after former legislator Shannon Wong, a Democrat, stepped down to take a position with the New York Civil Liberties Union in White Plains. Canterino served on the Goshen Town Board for over 22 years, and was voted into the legislature by the boards of the municipalities he now represents. Matthias “Matt” Schleifer died at the age of 90 in his home in Middletown after serving a combined 63 years for the state and county government. He retired from Orange County government as the Deputy Commissioner for Environmental Health in 2011 where he was for 42 years. Schleifer passed away on Dec. 1. The county legislature approved up to $465,000 to be bonded to pay for upgrades to the water system in Thomas Bull Memorial Park. The legislature approved $400,000 to be bonded to replace the Ford Bridge in the Town of Minisink at its Dec. 3 meeting. The estimated cost of the project is $760,000, with $300,000 having already been appropriated for it. The legislature also voted to bond $500,000 for other bridge upgrades around the county. The SUNY Orange Board of Trustees unanimously approved a resolution during its November meeting authorizing the college to establish the BRIDGES Program that will offer a post-secondary educational experience for students with intellectual, developmental, and autism spectrum disabilities within the Hudson Valley. BRIDGES has the goals of Building educational foundations, Realizing what is possible, Individualizing personal goals and self discovery, Developing confidence and skills, Guiding the process to success, and Empowering young adults in their role as Students. 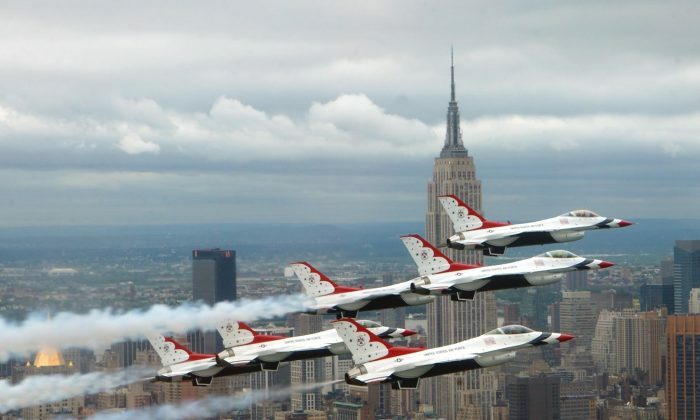 County Executive Steven Neuhaus announced on Dec. 1 that the New York Air Show will return to Stewart International Airport over Labor Day weekend 2016 and will feature the renowned U.S. Air Force Thunderbirds demonstration team. “In just our second year we are honored to have the Thunderbirds select the New York Air Show as one of only 13 civilian air shows they will fly in 2016” said Bryan Lilley, NYAS Director. The Thunderbirds flight demonstration team includes six pilots, flying patriotic red, white and blue F-16s that fly in formation and perform aerial maneuvers sometimes just inches apart. Goshen has halted the building of any solar farms with a six-month moratorium until the town updates it zoning code. “Findings have to be included in the town’s master plan for zoning,” said Town Supervisor Doug Bloomfield. Bloomfield said more developers have indicated they want to set up solar arrays in the town, reported The Chronicle. A public hearing on the proposed law to enact the moratorium on solar farms is scheduled for 7:30 p.m. on Monday, Dec. 21, at Goshen Town Hall, 41 Webster Ave., Goshen. The county’s Department of Health has been awarded a grant from the Association of County and City Health Officials (NACCHO) to help local communities increase vaccinations for Human papillomavirus (HPV). Orange County Commissioner of Health Dr. Eli Avila said, “Increasing HPV vaccination rates is a clear example of how diligent public health service saves lives in our communities.” HPV is the most common sexually transmitted virus in the U.S. Many vaccine-eligible adolescents do not receive HPV vaccines during visits with their healthcare providers. Choice Words LLC has joined the Orange County Partnership as a new investor. Choice Words LLC was founded in 2010 to provide communications services for nonprofits. The company specializes in grant writing and public relations for a diverse client base, such as Hudson Valley Economic Development Corporation, Poughkeepsie Farm Project, People to People, Jawonio Inc., SUNY New Paltz and Walkway Over the Hudson.